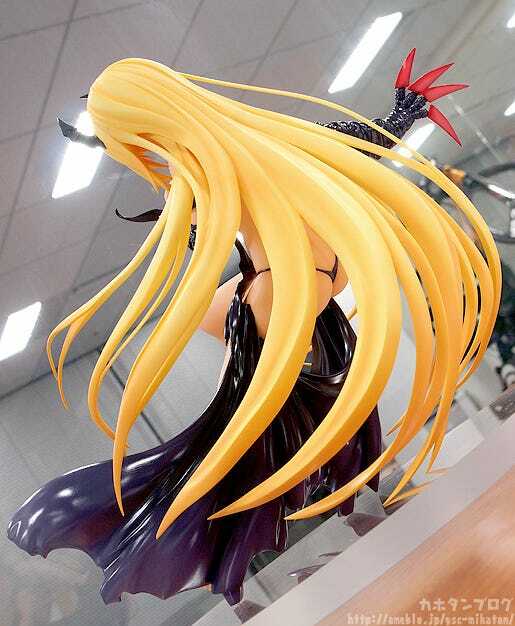 From the anime series with a second season coming in July 2015, ‘To Love-Ru Darkness’ comes a figure of Yami-chan, also known as ‘Golden Darkness’, transformed into her forbidden Darkness form! The figure has been intricately sculpted by the proficient sculptor, Abira. Her long hair flowing around her is complimented by the pose that makes her appear to be floating in the air. Her rather sinister horns and claws are starkly contrasted by her cute expression and very revealing outfit, creating a very naughty looking Yami-chan for fans to enjoy in their collection! Yami-chan’s long hair flows all around her body together with her outfit! 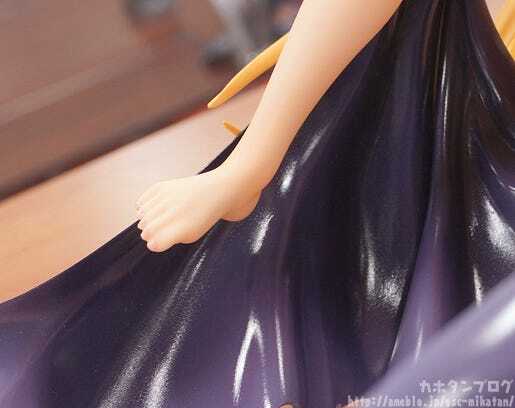 I doubt there is anyone… but for those wondering why I decided to take a photo from a low angle, it was to show that the details normally hidden behind her hair have been beautifully sculpted too! Just take a look for yourself! All the bumps and indents from her heel to the tips of her toes are lovely! This is the kind of detail that separates scale figures from other categories! Everything about this Yami-chan is gorgeous, but I really love the area around her thighs and hips! They bring out the ladylike beauty of Yami-chan’s lovely figure! Be sure to take a nice close look if you choose to add her to your collection! △ If you look close you can see the bumps of her rib cage! Whoever thought that we would see the Yami wearing an outfit like this when she is so against perverted things…! …and the mischievous smile just makes it perfect! Another thing to note is that while her skin looks lovely and soft… the contrast with her rather scary right hand is quite an eye catcher! Enjoy the ultimate transformation right by your side! Orders from the GOODSMILE ONLINE SHOP are open until the 22nd July 2015 at 21:00JST!! Don’t miss out!! !